Summer Art Camps at ARTdog will run June through August and include Builders Camp, Explorers Camp, Dog Camp, Space Camp and Magic Camp. Campers will play and create outdoors and have lots of open studio time to play with materials and follow ideas. There are lots of registration options to fit your summer schedule. Register for a 4-day week or add on Friday to make it a 5-day week. Camps run 9am-3pm with limited morning-only spots available. Learn more and register online. Let ACB be part of your family's healthy and active lifestyle. Summer camps are open to the public with a focus on providing hands-on fun in a safe and engaging environment. Youth Camps for ages 6 – 12 serve up sports, camp games and group tennis lessons offered Monday – Friday, between June 17th and August 30th. Explorer Camps for ages 3 – 6 encourage children to explore the world around them. Campers are welcome to dress in costume and fully immerse themselves in the weekly themes. This camp is offered Monday – Friday, between June 17 and August 30. Caravan Camps for ages 10 – 14 are designed for the adventurer at heart. 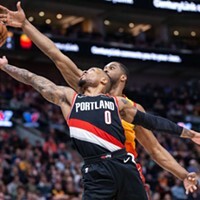 Each day will feature an interesting, unique excursion to local Central Oregon destinations and is offered Monday – Friday, between July 8th and August 30th. Offering Art and Play All Day for kids 5-11 years old. Camps run Monday through Friday 9 am – 3 pm. 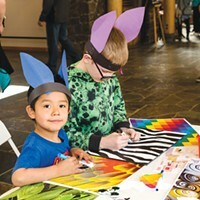 Each week-long camp has a theme that will expose children to a variety of materials and techniques that encourage them to explore and discover their innate creativity. Groups are kept small, the play is fun, and we take the studio outside to enjoy Bend's summer. $200/week. Offering camps with a variety of themes such as Improv, Three One Acts, Is Acting for You? Mini-Musical, Shakespeare, Musical Theatre, Dance and Movement for the Actor. Camps include several different sessions and themes, run half days, (mornings or afternoons) and are geared toward kids ages 7-17. Dates are July 15-18, July 29-August 1, August 5-8, August 12-15 & August 19-22. Rock Climbing camps are designed for the youth climber that has a little bit of previous climbing experience and is looking to take their skills to the outdoors. Instruction will cover knots, belaying, and climbing movement. For Mountain Biking camps, look for a complete overhaul of Summer Mini and Mighty Bikes into 2-day blocks rather than multi-week sessions and added sessions for girls and teens. Check the website for 2019 schedules. Two sessions for boys and girls ages 5-12. Camp takes place at Big Sky Park in Bend and includes a camp T-shirt. $160 for full day/ $100 for half-day (9 am - 12 noon). July 15-18 and 22-25. Offering several summer camps for boys and girls. Each session is for kids entering 1st-8th grades. Check the website for 2019 dates and times. The leading provider of summer camps for all ages in the community. Check out their PlayBook or visit them online for a full listing of camps for all ages. Want to spark your child's inner scientist? Check out the Bend Science Station's summer line up! Camps combine hands-on STEM investigations with summer adventures and new discoveries all in their spectacular new learning laboratories on the OSU-Cascades campus! Offering a variety of exciting overnight camps for different ages, including Adventure (ages 7-9), Junior (ages 10-12), Tween (11-13) and Teen (13-17) Camps run every week starting June 23 through August 11. Check out their website for a full listing! An art day camp for children experiencing loss and grief. Campers engage in activities to express their feelings in a fun, safe and supportive environment. July 22-25. Registration is required – for more information call 541-382-5882. A traditional overnight camp here in Central Oregon. With a 1 to 4 staff to camper ratio, they offer campers ages 8-13 a wide variety of weekly classes to participate in, from photography to ceramics, paddle boarding to snorkeling, and team sports to wood working! The days are full and the days are fun! $495 for a week-long session. June 30-August 23. SummerKids (9 weeks) Under the Sea, Survivor Camp, Mad Science and more! This camp is for ages K-6th grade and runs a full week, every week in the summer between June 17 – August 16. Financial assistance is available. Location TBD. A rich group outdoor learning and growing experience that lets kids from Pre-Kindergarten through 8th grade share joy and responsibility while making new, lasting friendships. Location is Tumalo State Park and two sessions are available: June 24 - 28 & August 19 - 23. Offering teens the opportunity to learn leadership skills while giving back to their community. Five sessions offered: July 1 - August 16. Cascade Indoor Sports offers a variety of summer camps, including an All Sports Camp, in their premier indoor sports & family fun facility. They have almost 50,000 square feet for soccer, roller hockey, roller skating, flag football, and lacrosse. Marimba, glockenspiel, snare drums, bass drums, tenor drums, cymbals, and other percussion instruments. See website for dates and times and to register online. Cascades Academy offers some fantastic camps on their 21-acre campus all taught by their teachers for children is grades K-5. Themes for 2019 include Tomorrowland, Castles & Dragons, Forensic Investigation and more. Check out the new program for pre-K children offered half days from 9am-1pm. Camps are weekly and run from June 24 – August 3. Half days and full days available. Offering camps that give athletes a chance to advance levels or become more proficient at their current level. Camps run Tuesday-Thursday from 9am-1pm and include 2 ½ hours of gymnastics instruction a day and fun games for the remainder of the time. 6:1 ratio. Camps are by level and occur every week from July 9 – August 15. 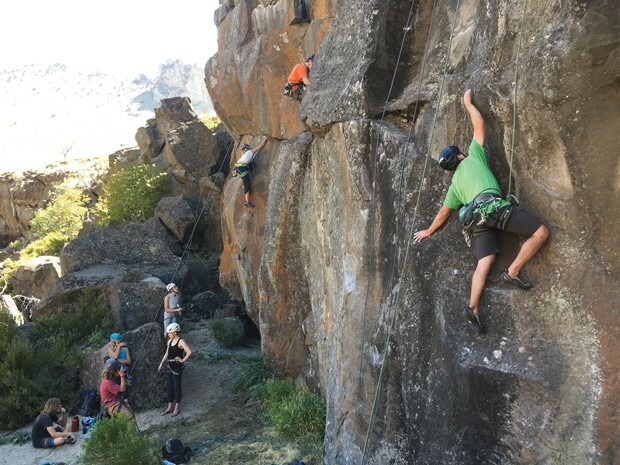 Offering camping and climbing at Smith Rock State Park with local AMGA SPI and Certified Guides: 4-day camps for beginner to intermediate climbers ages 11-15 (all gear included) and 11-day camps for experienced indoor or competitive climbers age 12-17: June 18-28 and July 24-Aug 3. Call for details and registration: 541-318-7170. These five-day riding camps take place Monday through Friday from 9am to 12pm, with the option to extend the camp hours until 2pm during some weeks. Camps dates are every week from June 17 – August 30. Cost is $350 per session. Offering an all-inclusive 8-day summer snowboard camp located at Mt. Hood. They offer five 8-day world-class snowboard freestyle camps starting June 16 – August 2. Find out more information online. Offering multiple camps for children in grades K-5 weekly from June 17 – August 23. Themes include Forces of Nature, Bug Out! Wildlife Care and more. Consult the website for a full listing and don't delay in registering, as these camps fill fast! Coming to Bend June 24-27, July 15-18, & August 12-15 from 9am-3pm. 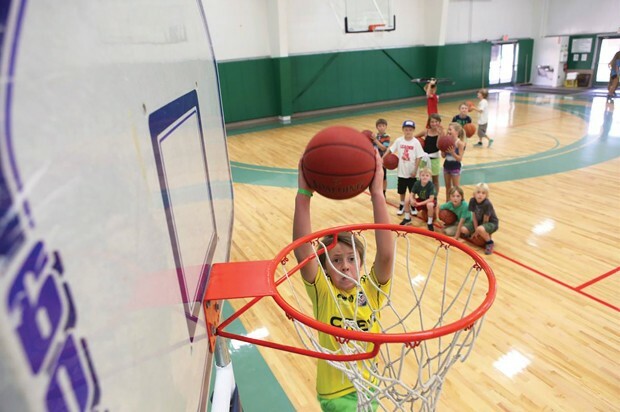 The camp offers football, basketball or soccer where kids will participate in skills, drills and games while learning about nutrition education. Open to boys and girls ages 6-12. Cost is $179.95 /149.95 (partial day). New this year - Bend Baseball Camp's dates are July 29-August 1 and the cost is $129.95 for half day. Is your child a budding business person, restauranteur, artist, designer, or cook? Kids in grades K-4 and 5-8 will learn money management, art and cooking, marketing and sales. 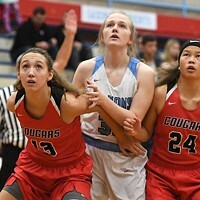 Camps available in Sisters and Bend. June, July and August dates. Register online. Four separate summer mountain bike sessions for kids ages 6-14. Each session is two weeks long with the option of riding two, three, or four days a week. The focus is to build skills and endurance all in a fun, supportive environment. Camps are Monday – Thursday, 9am-11am, June 24-July 3, July 8-18, July 22-August 1, & August 12-22. Offering Junior Explorers (ages 3-5) and Explorers (ages 6-12) Camps, featuring field trips, arts and crafts, games, water fun, science experiments and hands-on academic review. Camp is located on an 11-acre private campus with low child-to-teacher ratio. 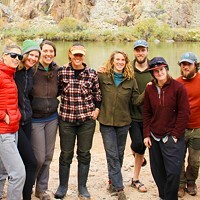 Offering various overnight camps with themes like Backpacking, Desert Survival, Fossils and Geology. There's even a family camp and one for teen girls only! Locations vary throughout Oregon. Offering several exciting summer camps this year. Consult their website for all the details. Offering a variety of youth summer programs for a wide range of populations, including adaptive cycling, kayaking, hiking and golf. 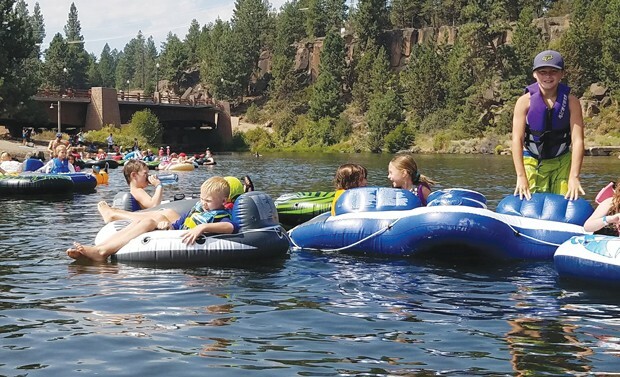 Offering a unique approach to summer with fun excursions to places like Smith Rock, Cultus Lake and Tumalo Creek. If your child loves to explore and be outdoors, this is the one! Camps are geared for kids ages 7-12 (R.A.D. Kids) and 13-17 (R.A.D. Teens). Camps run from June to August, from 8am-4pm. Offering 9 sessions of horse-riding camps this summer every week except July 15-19 from June 24-August 30 from 9am-1pm. Children ages 5-18 are welcome. $325/week. offers a fun music, art, and adventure camp based on Montessori educational values for youth ages 7-12. The camp is in partnership with Rise Up - Bend Roots Education Project. Classes include yoga, rhythm, ukulele, filmmaking, mystery games, outdoor walkabouts, geocaching, and a variety of interactive art activities. The camp will run from June 17th-August 24th. 8:30am-3:30pm with an after-camp option. Offering a full 10-week camp. Pay in full for a discount. Weekly camps available. Review, progress, and have FUN! Help prevent "summer slide" with direct instruction in math, spelling, and reading, which are blended with experiments, games, art, crafts, outdoor activities, and weekly field trips! Camp is for incoming 1st-8th graders and dates are July 8-August 2 from 8:30am-1pm, Monday-Friday. Offering two exciting camps: Moving Joyfully Camp, for ages 3-6 is filled with art projects, movement exploration, obstacle courses, acrobatics, and games. On the last day, there will be an informal show for families. June 17-21 & August 12-16 from 9 - 11:30am. Circus Ninja Camp features multiple days of slacklining, acroyoga, juggling, hooping and aerial yoga. This camp is for total beginners or seasoned circus ninjas. Camp finishes the week with a performance for family and friends. Ages 5-8: July 15-19, July 29-August 2 & August 12-16 from 1:30-4pm and ages 9-12: July 8-12, July 22-26 & August 5-9 from 1:30-4pm. 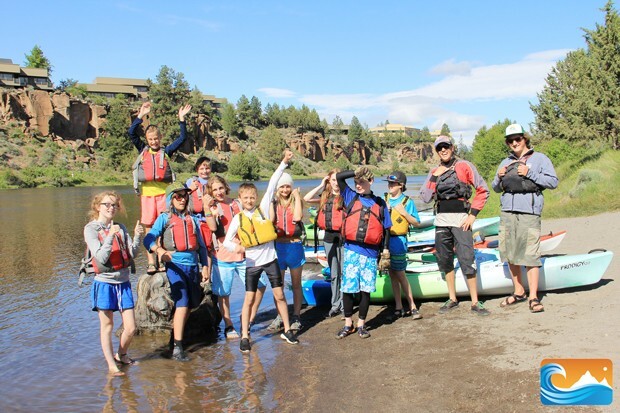 Tumalo Creek Kayak Kids Paddle Sports Adventure Camp. These 4-day camps offer instruction for kids, ages 8-15. The week includes a day of standup paddle boarding, kayaking, rafting and sailing on Elk Lake. Cost is $395/week and dates are: June 24-27, July 8-11, 15-18, 22-25, August 5-8, 12-15, 19-22, 26-29 from 9am-4pm. Nothing gets our nature spirit moving like the summer season! Camps are divided into groups for ages 4-13 with themes like Witches and Wizards, Dragon Riders and more! Sessions are weekly, beginning June 24 – August 9. Locations include Tumalo State Park and Skyliner Lodge. Check out the full schedule online. Offering a unique opportunity for children ages 10-14 to explore culinary, technology and special interest subjects like archaeology and aviation on a community college campus. Camps are held Monday – Thursday at all COCC locations: Bend, Redmond, Prineville and Madras. Registration is online and begins April 8. Looking for a half day camp for the little ones to keep them busy during the summer? Dana's Discovery Kids offers creative fun camps with varying weekly themes. The cost is $100 per week, or $30 per day. Camps run weekly throughout the summer from June 17 – August 8, Monday through Thursday, 8 – 11:55am. Sunriver Nature Center offers two camps for kids of different ages. Summer Nature Camp is for kids ages 5-10 and runs Tuesdays – Thursdays from 9am-12pm. Your budding naturalist will love exploring woods, wetland and wildlife! Kinder Critter Camp is for kids ages 3.5-5 on Fridays. Learn about a new animal each week through games, crafts and stories. Offering camps throughout summer – Monday through Thursday 8:30am-12:30pm. $40 Per Day or $140 Per Week. The All Sports Camp program is the Original and Best Sports Camp designed for boys and girls currently enrolled in 1st through 5th grade. During these days of no school, your child will be involved with many different sports related games. Playing all the biggest hits from soccer to football and pickleball, skating to dodgeball, and of course, Happy Ball! Invite your friends and come conquer top coaches!